“Philadelphia Carmel: The Birthplace of Devotion to St. Thérèse in the United States” is the title of a talk on Sunday, Feb. 17 at the American Catholic Historical Society, as part of its Spotlight on Local History series. Maureen O’Riordan will explore how in the early 20th century, St. Thérèse of Lisieux become one of the best known saints in the United States and how the young nuns who founded Philadelphia’s Carmelite monastery in 1902 set the country on fire with love for the saint from France. O’Riordan is the curator of the website “Saint Therese of Lisieux: A Gateway” and is a graduate of Little Flower High School and Bryn Mawr College. 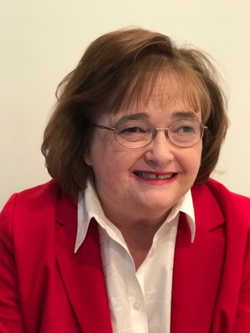 She has been speaking and writing about St. Thérèse for more than 30 years, has published articles in journals and is the author of “Praying for Priests with St. Therese of Lisieux” (Catholic Truth Society, 2009). The talk is free and open to the public. The American Catholic Historical Society, located at 263 South Fourth Street in Philadelphia, opens its doors at 1:30 p.m. and the talk begins at 2. Register here and see more information. NEXT: Faith, Fellowship, and Coffee!